While the Restoration Team was able to find an incredible amount of information about Montpelier's vanished Madison-era architectural features, sometimes only a very small amount of evidence survived for a missing element. When almost no information was found the Team was forced to recreate a conjectural replacement. While similar elements from the same period and region were occasionally used, the primary sources for conjectural elements recreated for the Restoration were similar Madison-era features that survived at Montpelier. 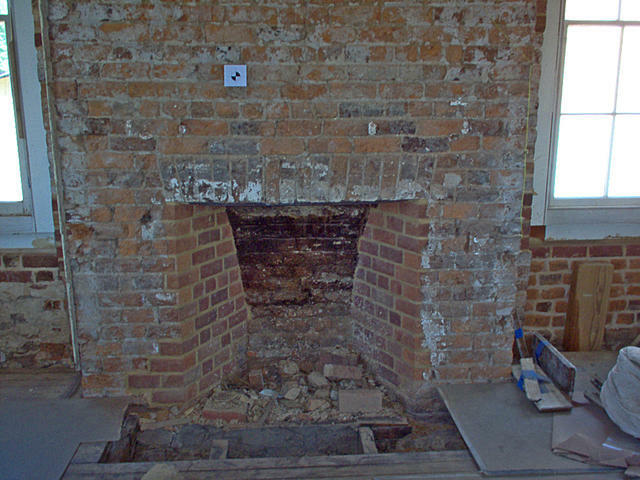 The fireplace in the North Wing Room after the duPont-era plaster was removed.